Have you ever wondered what all the writing, stamps, letters etc. on a ship’s hull mean? There may have been a little voice inside of you that figured it was just a way to tell other boats or countries who/what they were looking at. Maybe a boyhood memory of your love of ships told you that it was simply there to look cool. 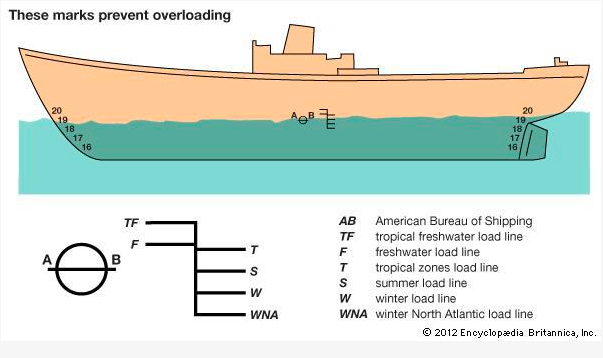 Well, we are her to set the record straight [and subsequently squash your boyhood memories] with some helpful knowledge on just what these numbers/letters mean, and how vital they are to a ship’s safety based on the waterline. These lines are called the Plimsoll lines, named after British politician Samuel Plimsoll. He devised these lines and submitted them as a bill to the British Parliament in the 1860’s. A man way ahead of his time, and determined to provide safety at sea for all cargo ships afterward, Samuel Plimsoll changed the way we track safety today.